Jewelry is one of my absolute favorite things to give as gifts as well as buy for myself! There is no easier way to completely change an outfit, then by changing what jewelry you decide to pair with it. I also think that jewelry is a very fun and interesting way to express yourself and I'm always on the hunt for something extraordinary to wear. Of course, jewelry from Tiffany & Co. is by far my favorite, but unfortunately, their pieces are WAY out of my price range. So, what's a girl to do? Check out the extremely affordable Tiffany-inspired pieces from TrendToGo.com! 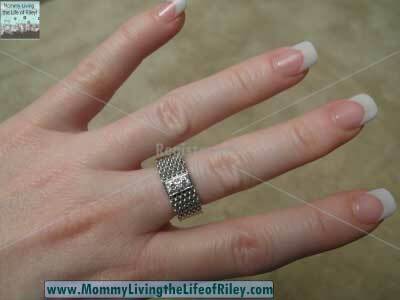 I recently had the opportunity to review their Designer Inspired Sterling Silver CZ Somerset Mesh Ring. Keep reading to learn more! 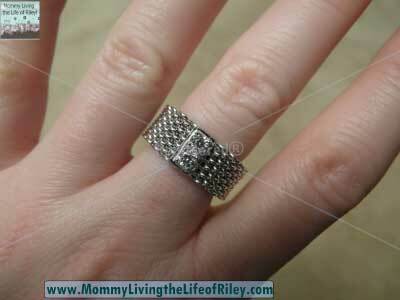 I reviewed the Designer Inspired Sterling Silver CZ Somerset Mesh Ringfrom TrendToGo.com, which retails for $93.99, but is currently on sale for $38.95. Receive $10 OFF a $100+ purchase with coupon code "sum10". I am a huge fan of women's sterling silver rings and always tend to gravitate toward some of the more classic designs when selecting jewelry made from precious metals. As soon as I saw the Designer Inspired Sterling Silver CZ Somerset Mesh Ring from TrendToGo.com, I just knew that I would wear this piece for many years and that it would always look great and remain in style. Fine strands of .925 sterling were interwoven to create the same quality, beauty, and depth that you find in comparable designer items. Glittering cubic zirconia completed the sophisticated and elegant look of this ring. I just couldn't get over the extremely vast selection of jewelry and other gifts offered at TrendToGo.com. They carry so many pieces, such as pendants, earrings, rings and brooches, as well as eyewear, handbags, watches and fragrances too. The best part is how ridiculously affordable their jewelry is! They don't have the exaggerated prices and needless markup of other retailers. 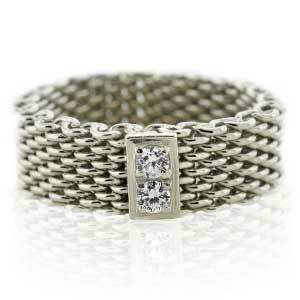 Their jewelry is high-quality, yet extremely inexpensive. Now that's a combination I'm always searching for! If you love designer inspired jewelry for either giving or receiving, then you can't beat the affordable array of items from TrendToGo.com. They also carry a myriad of other fashionable essentials in every color, style and design imaginable. I am highly satisfied with the Designer Inspired Sterling Silver CZ Somerset Mesh Ring I received and definitely recommend shopping at TrendToGol.com the next time you are on the hunt for an interesting addition to your jewelry collection! Disclosure: I received the Designer Inspired Sterling Silver CZ Somerset Mesh Ring from TrendToGo.com in order to facilitate my review. No other compensation was received. This product review is based on my own personal experiences with this item and is completely honest and objective.